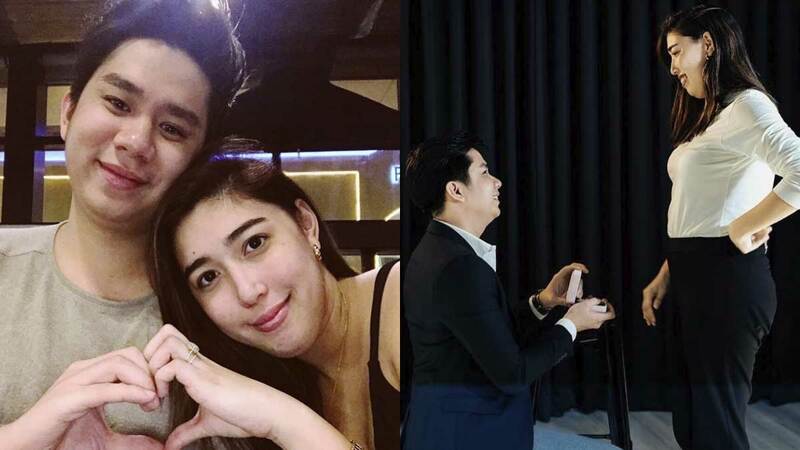 26-year-old vlogger Dani Barretto (daughter of Marjorie Barretto and Kier Legaspi) just got engaged! The carefully-planned proposal was caught on cam, with the help of Dani's BFF, Bela Padilla. Dani's reaction, together with her family and friends' sweet messages, is honestly enough to make us cry! 2. Xavi is a proud parent to the cutest fur baby. His adorable labrador's name is Finn! 3. He first met Dani met during a trip to La Union. In one of Bela's blog posts, she shared how she practically "dragged" Dani to La Union in May 2017. Bela added, "I need to tell you all now that I was tipsy and didn't know they [Dani and Xavi] were talking near the bar of the resort we were in." It's no surprise that the couple seem to love going to beaches together! 4. Xavi's from La Salle! He graduated with a degree in Psychology. 5. Xavi has been planning the proposal since 2018! According to Bela, Xavi told her about it in 2018, saying, "but it's not till late next year." But he proposed earlier than expected, on February 17, 2019. Xavi actually made a secret group chat with Dani's closest friends and family to prepare for the proposal! Awww! Congratulations again, Dani and Xavi!